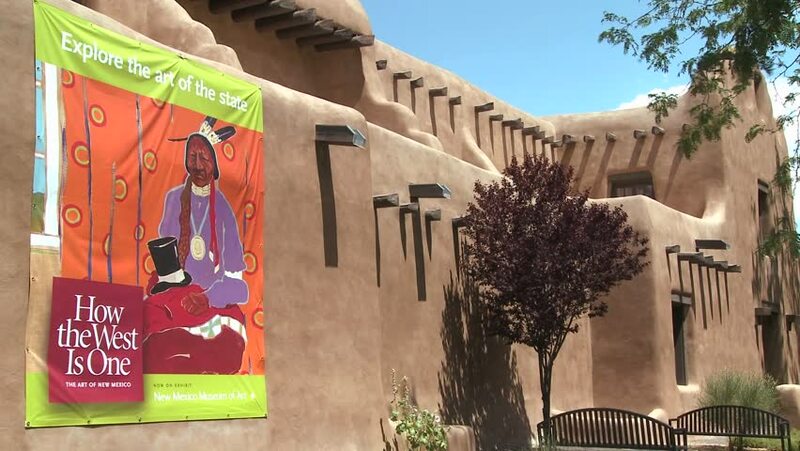 NEW MEXICO - CIRCA 2010: The Museum of Art announces a new exposition circa 2010 in New Mexico. hd00:16Detail of the Mehrangarh fort, in Jodhpur, Rajasthan, India, with a whitewashed building and coloured flags waving against a blue sky. sd00:22KABUL, AFGHANISTAN - CIRCA 2009: Pigeons fly in front of the Shah-e Do Shamshera Mosque circa 2009 in Kabul, Afghanistan. Afghanistan is an impoverished and least developed country, one of the world's poorest.